Way back in 2009, I wrote about how the Federal Housing Administration (FHA) is broke and would require either billions of dollars from Congress or a large increase in the amount of mortgage insurance charged to borrowers on FHA loans. Here we are, nearly three years later, and the FHA is still in trouble. The breaking news today, according to Edward Pinto, Resident Fellow at the American Enterprise Institute and former executive vice president and chief credit officer for Fannie Mae, is FHA's total delinquency rate topped 17 percent in October. That's a huge number. Considering FHA has 7.3 million loans outstanding, a delinquency rate of 17 percent means over 1.2 million loans are delinquent. What's worse is FHA insures 100 percent of the losses on loans it insures, and as a result its loss severities are extremely high. Despite their ever-increasing debt, FHA insists there's potential for growth. Just last month, FHA released their annual financial status report to Congress. The report states that FHA's capital reserve "remains below the congressionally mandated threshold of two percent of total insurance-in-force." Even so, the report insists that FHA's Mutual Mortgage Insurance (MMI) Fund will start to rebuild capital in 2012, barring a further significant downturn in home prices. How can that be? According to Pinto, FHA is masking the true size of the problem by telling consumers to look at the big picture, not the present, suggesting their market share is growing and so will their profits. "It's like you're in a hole in the ground, and the ground is made of sand. You decide your way out is to collapse the sides and climb out. It won't work," Pinto says. In other words, FHA can't grow its way out of the financial hole they've dug for themselves. And, it's a very deep hole. FHA does have $28 billion in liquid assets, but the losses they already know about total $41 billion. Pinto makes a strong case when he says currently the FHA is fundamentally insolvent. It doesn't take much to see $28 billion in assets doesn't cover $41 billion in losses. When you consider what's keeping FHA's claim problems from being even larger, the outlook for the administration's future is even worse. "What's saving FHA right now," says Pinto, "is that foreclosures aren't moving through the process very quickly." The average time FHA-insured foreclosures are spending in foreclosure proceedings is two years, and as long as they're still going through the process, FHA doesn't have to pay the claim. 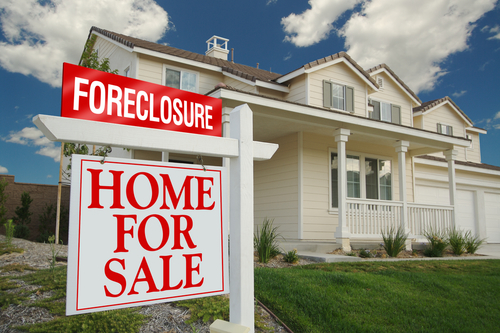 That's good news in the present, but bad news when the foreclosure bottleneck loosens and all the claims come through -- it will be an immediate drain on their funds. Despite the huge losses already known, FHA continues to make risky loans (over 48 percent of their business has a debt ratio of 45 percent, which is high) and increase their market share. This "entrenching of FHA finance in the system" makes it impossible for the private sector, Fannie Mae or Freddie Mac to compete, and Pinto believes this is stopping the housing market recovery dead in its tracks. What does all this mean for Main Street Americans? The bottom line is this: If this trend continues, FHA will need to go to the Treasury and ask for money. Taxpayers will foot the bill, or risk adding to the deficit. But the bigger implication is this: The longer it takes the housing market to recover, the more time it takes for our economy to bounce back.